Google continues to improve its message feature. 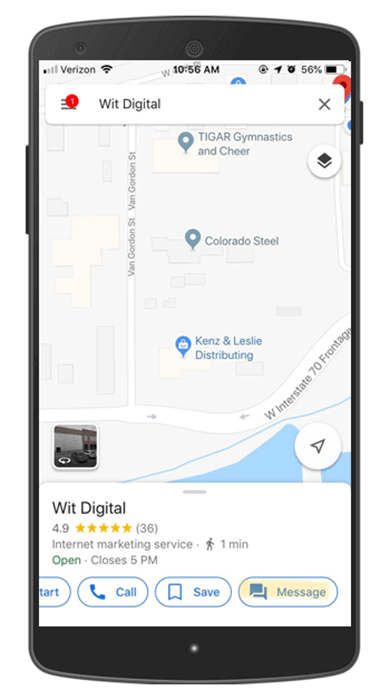 If you haven’t already set it up, your customers can conveniently contact your service business from their smartphones and tablets using Google Maps Messaging. After finding your business on Google Maps, they have the option to send you a message directly from the app. More than ever, customer convenience is key in the home service industry. This new messaging feature makes it easier for customers to make inquiries, and for you to respond and turn those inquiries into new customers and appointments. Replying to messages quickly is key in turning inquiries into satisfied customers. After linking the cell phone number of your choice to your account, customer messages will be sent directly to your phone. This makes it convenient, and easy, for you to respond. If you have any questions about how to get this up and running for your home service business, reply to this email now and we’ll help you out. We love talking shop!